Vertical axis wind turbines (VAWT), designed by PATPERT are quiet, efficient, economical and perfect for residential energy production. 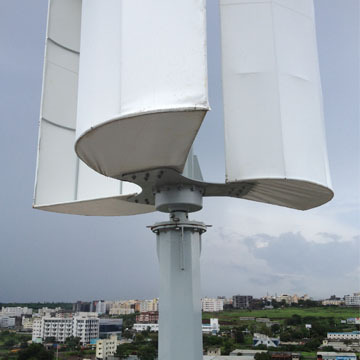 These wind turbines can be installed close to the ground so if there is no suitable rooftop for placement, or if there are hills, ridges, etc. that prohibit the flow of air, they work wonderfully as per needed. Since VAWT are mounted closer to the ground they make maintenance easier, reduce the construction costs, are more bird friendly and does not destroy the wildlife. The main advantage of VAWT is it does not need to be pointed towards the wind to be effective. In other words, they can be used on the sites with high variable wind direction. these wind turbines can be used where tall structures are not allowed. They are cost effective when compare to the HAWTs. Many of the turbines are resistant to many of the different weather elements .